There have been a lot of blown calls in baseball history. There was Jim Joyce’s muff last season that cost a perfect game. In game five of the 1952 World Series, Johnny Sain, playing for New York, was called out at first on a play in the 10th inning. Photographs clearly showed him safe. Brooklyn then won the game in the eleventh. Some people argue the Steve Bartman play was a blown call. Just the other day the Pirates had a complaint. But no blown call is more famous than the “Denkinger Call” in game six of the 1985 World Series. Down three games to two on 26 October 1985, the Kansas City Royals needed to win game six to force a game seven. Going for them was the fact they were playing at home. The game featured Charlie Leibrandt (who will show up prominently in another game six a few years later) for the home team. He had gone 17-9 during the season, but was 0-1 for the Series. Danny Cox, who was 18-9 for the season, but had no decision in his previous start, was on the mound for St. Louis. Both men pitched well. Cox went seven innings, walked one, struck out eight, gave up seven hits, and held the Royals scoreless. Leibrandt did equally well through seven, giving up four hits, no walks, three strikeouts, and, like Cox, held the opponent scoreless. Things changed in the top of the eighth. With one out, Terry Pendleton singled, went to second on a walk, stood at second while the next out was made. 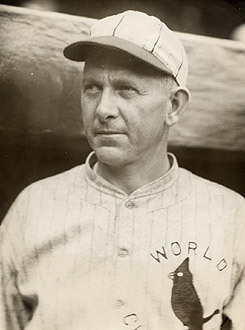 Cardinals manager Whitey Herzog pulled Cox, sending up Brian Harper to pinch hit. Unlike Bob Lemon’s 1981 ploy, this one worked. Harper singled plating Pendleton with the go ahead run. Now six outs from a championship, the Cards brought in Ken Dayley. He gave up a walk, but shut down the Royals. St. Louis did nothing in the top of the ninth, which brought the game to the last half of the last inning and Don Denkinger’s brush with infamy. 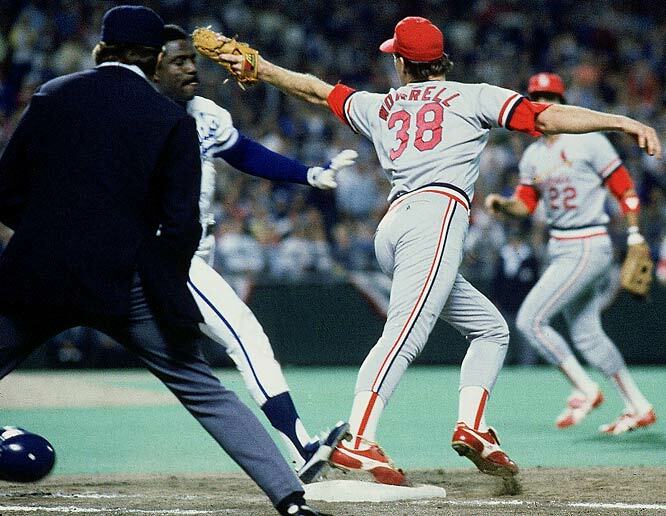 St. Louis brought in closer Todd Worrell who had a terrific World Series to that point. The Royals countered with pinch hitter Jorge Orta. Orta hit a roller toward first and was called safe by first base umpire Denkinger. The Cardinals went ballistic and replays showed Orta was out. First baseman Steve Balboni singled sending Orta to second. An attempted sacrifice by catcher Jim Sundberg resulted in Orta being out at third. Back up shortstop Onix Concepcion, running for Balboni made it to second with Sundberg safe at first. A passed ball moved both runners up a base, then Hal McRae was walked intentionally. That brought up Dane Iorg to bat for the pitcher. Iorg was a former Cardinal and had made an out in his only previous Series appearance. He singled to right scoring both Concepcion and Sundberg and setting up a seventh game which Kansas City won handily 11-0. It is, to date, the Royals’ only world’s championship. Denkinger had been a Major League umpire since 1969 and a crew chief since 1977. He was crew chief for the 1985 Series (his third Series) and served again as crew chief for the 1991 World Series. He did a number of All Star games and umped for several League Championship Series’. In other words, he was an experienced and respected umpire. After the end of the 1985 season he reviewed tapes of the play and admitted he’d gotten it wrong. Unfortunately, as crew chief he had the plate for game seven which St. Louis lost. Some sources blame both the blown call and the follow-up of Denkinger being behind the plate in game seven for the Cardinals losing the Series. Frankly, St. Louis couldn’t get its act together for game seven and that wasn’t Denkinger’s fault. If I blame anyone, it’s Herzog for not having his team mentally prepared for the seventh game. St. Louis, and pitcher John Tudor in particular, looked like they were going through the motions in game seven, convinced they’d won and didn’t seem to understand why they were playing another game (I’m sure Tudor would dispute that, and probably validly. But that’s how it seemed to me as a fan.). That’s the fault of the Cardinal players and managers, not the umpire. It took St. Louis 21 years to win its next World Series. Sometimes I think they thought that was Denkinger’s fault too. Denkinger is now retired and seems to have gotten over it. That’s good. So too have the Cardinals, which is better. At the 2005 Whitey Herzog Youth Foundation dinner, Denkinger was one of the speakers. I don’t know anyone who claims game six of the 1981 World Series was a great game. Neither do I. It is, however, a good way to look at one of my obsessions, the effect a manager really has on a game. Game six of the 1981 World Series occurred on 28 October in Yankee Stadium. The Los Angeles Dodgers had a 3 games to 2 lead on the Yanks and sent Burt Hooton to the mound. He was 0-1 for the Series. He faced former Dodgers ace Tommy John (of elbow fame). John was 1-0. New York broke through in the bottom of the third when Willie Randolph homered off Hooton. The Dodgers responded by tying up the game in the top of the fourth. The turning point of the game was the bottom of the fourth. With one out Graig Nettles doubled. The second out failed to advance him. Eight hitter Larry Milbourne was walked intentionally, bringing up John. John was pitching reasonably well. He’d given up six hits, but only the one run and struck out two with no walks. 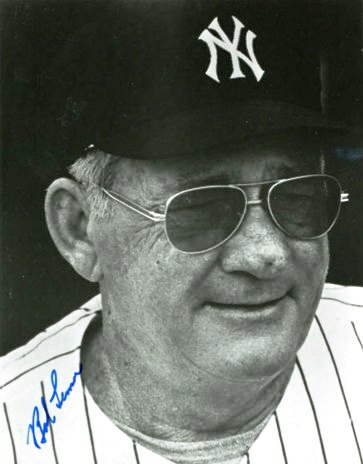 Yankees manager Bob Lemon decided to pull him and send up a pinch hitter. Lemon decided that he wanted to get ahead in the fourth and let the bullpen take over. So he sent up Bobby Murcer to pinch hit. Murcer flied to right to end both the inning and Tommy John’s participation in the World Series. I remember being surprised at the time by Lemon’s decision. I also recall the announcers being stunned by the call. John was furious and you could see his frustration in the dugout. As an aside he was traded late the next season. Lemon brought in reliever George Frazier to face the Dodgers. Frazier had been in two previous games, lost both, and given up four runs in just over three innings. In other words, the Dodgers could hit him. They did. They tallied three runs in the fifth to take a 4-1 lead and coasted from there. They added four more in he sixth and one in the eighth to win the game easily 9-2 (the Yanks got a late run in the sixth) and Frazier joined Lefty Williams of the 1919 Chicago White Sox as the only pitcher to lose three games in one World Series (and Williams, of course, was trying to lose). I’ve spent a lot of time on this site trying to fathom the role of the manager. How really important is he? How much of a team’s success is talent? That sort of thing fascinates me. I still don’t know the exact answer to that, but this is one time when a managerial decision truly changed a game. John had done well in his other game, was doing well in this one, while Frazier had been awful. But Lemon made the change and things fell exactly as a Dodgers fan would want. Obviously down 3-2 Lemon wanted to take advantage of a situation and try to get a lead, a victory, and a chance at game seven. He can be faulted for taking out John, but the major mistake, it seems to me, was inserting Frazier. By the way, I don’t fault Lemon for using Murcer as the pinch hitter (although Murcer went 0-3 with a sacrifice in the Series). Anyway, it came back to haunt Lemon in the game and later. He lasted fourteen games into the 1982 season before being fired. He never managed again. I guess that I have to admit that the sixth game of the 1975 World Series is the most famous of all the sixth games in baseball history. Part of the reason has to do with the teams involved and part has to do with it going into extra innings. Much of it has to do with one iconic image. In that way it’s much like the sixth game of the 1947 World Series that I chronicled earlier. And that’s only one of the things it has in common with 1947. The date was 21 October 1975 when the Cincinnati Reds, known as “The Big Red Machine”, took on the Boston Red Sox in game six of the World Series. Boston was down 3 games to 2, but had both games at home in Fenway Park. For the Red Sox, ace Luis Tiant took the mound, the Reds countered with Gary Nolan. In the bottom of the first, Sox center fielder Fred Lynn connected for a three run home run. Nolan lasted one more inning before being pulled for a pinch hitter. The Reds bullpen proceeded to shut down the BoSox for the next five innings as Cincinnati clawed back into the game. They got three runs in the fifth to tie the game, then put up two more in the seventh, then got a home run from eight hitter Cesar Geronimo in the top of the eighth. So far it had been a fairly one-sided game. The Sox had six hits, the Reds 11, and with six outs to go, Cincinnati’s bullpen had been spectacular. Then with two out and two on, pinch hitter (and former Reds player) Bernie Carbo slugged a game tying home run. As a short aside, Carbo had a spectacular World Series going 3 for 7 with a double and two home runs. He drove in four, scored three and had a slugging percentage of 1.429, but he’s remember strictly for this one hit. Kind of a shame, isn’t it? For the next three and one-half innings, nobody scored although the Reds left three men on base and the Sox two. 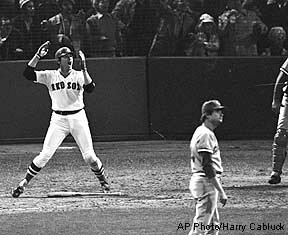 Then, facing journeyman Pat Darcy, Carlton Fisk led off the bottom of the 12th with one of the more famous home runs ever hit. The camera, lingering on him, turned it into the “Body English” homer. So the Red Sox tied the Series at three games each. Unfortunately for Boston, it wasn’t enough. They lost an equally impressive game seven the next night sending Cincinnati home with the world championship for the first time since 1940. Over the years the legend of this game has grown. In my opinion, it has grown too much. For much of the game it wasn’t all that big a deal. After Lynn’s first inning home run, the Big Red Machine took over and moved steadily toward victory through the top of the eighth. Everything changed in the bottom of the eighth and that’s when the game got interesting. I’ll admit it was a good game, it was even a great game for four innings, but it’s taken status as the “greatest game” ever or of the last 50 years (Take your pick which title you want to give it. I’ve seen both). It seems to me that it fails to meet that criteria, and thus is greatly overvalued. And maybe that’s part of the problem for me. It was a good enough game, but to rank it the “greatest” anything makes it overvalued and thus it gets into the “overhyped” category for me. It was a good enough game, but better than game one of 1954 or game one of 1988 or game six of 1993 (and don’t get me started on game seven of 1991, or any other game seven for that matter)? Not to me. And there’s one other problem, and in this way it reminds me of game six in 1947. The team that wins the game loses the World Series. The playoffs are about finishing and winning a great game six is fine, but you gotta win game seven (if there is a game seven) to totally validate the game. I realize that doesn’t change the game in isolation, but it isn’t played in isolation, it’s played as part of a “Series” and you have to win four of that “Series” to claim victory. So props to both the Reds and Red Sox, but do me a favor and don’t overhype this game (particularly after taking a look at game seven the next night). Feel free to disagree, I know several people will. Between 1947 and the beginnings of expansion in the early 1960s, baseball had a number of good game six events. The 1948 World Series ended on a game six, as did 1951. But I’ve chosen the 1953 game six to look at. I’ve done this for a couple of reasons. First, it was a terrific game and sits at the very edges of my memory. I remember listening to it on the radio and actually recall very little about it other than just the act of listening. I remember my grandfather agonizing over the game, grumbling if the Yankees did something right (to him “damn” and “yankee” were one word, which had to do with both baseball and several other things) and slapping the arm of the chair if the Dodgers did something well. I’ll put the second reason I chose this game at the end of the article. Now the game. With New York leading the World Series 3-2, the Yankees took on Brooklyn on Monday, 5 October 1953 in Yankee Stadium. The Yanks started Whitey Ford, the Dodgers countered with Carl Erskine. Erskine had a win in the Series, Ford was 0-1. The Yankees rocked Erskine early, getting three runs in the first two innings. He lasted four, giving up the three runs, on six hits and three walks. He was replaced by Bob Milliken, who got through two innings without giving up more ground, before being replaced by Clem Labine. Ford was masterful through five. In the sixth he gave up a run as Jackie Robinson stole third and came home on a ground out. Ford lasted through the seventh, giving up the one run, with six hits and seven strikeouts. His replacement was Allie Reynolds, who had an easy eighth inning, giving up a single. Then in the ninth, Reynolds gave it all back. With one out, he walked Duke Snider. Carl Furillo promptly tied it up with a two-run home run. With Dodgers reliever Labine on the mound, the Yankees faced the bottom of the ninth with their three, four, and five hitters up. Hank Bauer walked, Yogi Berra hit a fly that was caught. Mickey Mantle singled sending Bauer to second. 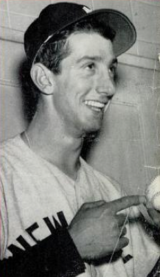 That brought up Billy Martin. Martin, whose exceptional catch in 1952 was credited with winning the Series for New York, was having a great World Series. He was 11 for 23 with five runs scored, seven RBIs, and two home runs. He proceeded to rip a single to center, plating Bauer, ending the World Series, and cementing his place in Yankees lore. It was final of five consecutive World Series victories for the Yankees. Now the second reason I picked this game six to represent the 1950s. The Yankees Dynasty begins, in some ways, in 1921. But it really takes off with the Murderer’s Row team of 1926 (who go out and lose the World Series to St. Louis). The winning dynasty begins in 1927 and lasts through 1964. It’s turning point is 1954. Prior to 1954, the Yankees were 15-2 in World Series play beginning with 1926, losing only to the Cardinals in both 1926 and 1942 making the Yanks 13-0 against everybody else (except the Braves, who they didn’t play until 1957) and 2-2 against St. Louis (go figure). Then beginning in 1955 and lasting through 1964 the Yankees are still the class of the American League, they just aren’t as dominant as previously. They go 4-5 in those years, winning in ’56, ’58, ’61, and ’62, losing in ’55, ’57, ’60, ’63, and ’64. The National League finally caught up to them. So 1953 marks the apex of that Yankees team that dominated 40 years of baseball history (1926-1964). That seems a fitting reason to recognized game six of 1953. Besides it was a heck of a game. As a baseball fan you beg for a game seven. They are the ultimate test of a team, of the entire sport. Over the course of Major League Baseball’s history there have been a number of very good game seven’s. There have also been a number of real stinkers. But let me take a moment and praise game six, the penultimate game in a playoff. There have also been an extraordinary number of very good sixth games. True, they set the stage for game seven, but they can also be compelling in their own right. That being said, I want to take some time and look at bunch of games numbered six. First a couple of caveats (which I always seem to have). I’ve limited my look at game six to the period following World War II. This is not to downgrade those games prior to 1945, but I’ve seen a lot of the games I’m about to mention so there is a personal tug about each. That simply can’t be true of the games prior to World War II. By doing it this way, I can give personal comments from actually having seen the games themselves. Second, there is one exception to this list, one game I didn’t see (heck, my Dad had just barely met my Mom when it was played), but that game is so famous, I have to talk about it. Thirdly, I have included playoff games as well as World Series games in the list. There have been a lot of good playoff games on the road to the World series and they deserve mention also. Finally, I made my personal preference for the best ever game 6 known way back in December 2009, so this will be a look more at the games in chronological order than a look at them by worst to best or best to worst format. The only game I didn’t personally see (actually watch on TV) is game six of the 1947 World Series. The New York Yankees were leading the Series 3 games to 2 over the Brooklyn Dodgers when game six was played on Sunday, October 5th at Yankee Stadium. Facing elimination, the Dodgers sent Vic Lombardi to the mound against Allie Reynolds. Neither pitcher had it in game six. The Dodgers scored two in the first, two in the third, and New York answered with four in the bottom of the third. Relievers Ralph Branca (of Bobby Thomson fame) and Karl Drews for New York kept things in check for two innings, Branca giving up one run in the fourth, and Joe Page replacing Drews in the fifth.. Then in the sixth, the Dodgers struck with four more runs chasing Page and bringing in 40-year-old Bobo Newsom, who shut down the Dodgers. The Dodgers made two major changes in the bottom of the sixth, Joe Hatten took the mound, and sub outfielder Al Gionfriddo went to left. Hatten was initially somewhat ineffective. He got two men out, but he also put two men on and had to face Joe DiMaggio. 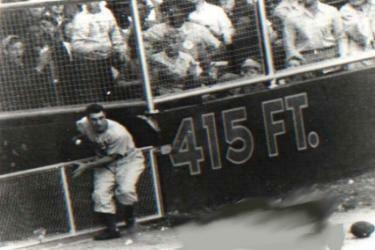 DiMaggio drove a ball to deep left field. Gionfriddo raced to the fence, leaped and caught the ball to end the inning. The catch is, along with Willie Mays’ 1954 catch, among most famous in World Series history. The shot of DiMaggio kicking the dirt around second base is one of the most iconic memories of him in his career. With the inning over, Hatten still had a tough time in the 7th, again loading the bases before getting the final out. He had a one-two-three 8th inning, then let two men on to open the bottom of the ninth. Dodgers closer Hugh Casey came in, gave up a run on a force out, then finished the game by inducing a pitcher to first (1-3) ground out. It was a great game six. Ultimately it was futile on the part of the Dodgers. They lost game seven 5-2 after leading 2-0 in the second. The 1947 World Series is still considered a classic. Bill Bevans almost threw the first no-hitter in Series play and the Dodgers and the Yankees began one of the greatest postseason rivalries in sports history (and, yes, I know they played in 1941, but the war broke the string and I consider the rivalry to begin in 1947). But game six was unforgettable. And as trivia buffs might know, it was Gionfriddo’s last Major League game. Ever notice how utterly obscure some players are? I don’t mean some guy who got to the big leagues, had one at bat, and disappeared from the rosters forever. I mean Hall of Fame quality players who are just plain obscure. There are a bunch of them and I’d like today to look at a couple of pitchers that fit the category. Do you know anything about Jesse Haines? With the paragraph above you know he’s in the Hall of Fame, but I mean other than that. If you do, it’s probably that he’s the guy who came out of game 7 of the 1926 World Series so Grover Cleveland Alexander could enter the game, strike out Tony Lazzeri, and go on to immortality. But I bet you didn’t know Haines was still second in wins (to Bob Gibson) for the St. Louis Cardinals, arguably the most successful National League franchise. It’s not like he’s second for the Padres, this is the Cardinals. He’s also second in innings pitched and complete games, fifth in shutouts, and sixth in strike outs. To offset that he’s also first in hits given up and second in walks. He pitched from 1920 through 1937 with St. Louis (and had five innings in 1918 with Cincinnati). He’s in four World Series’, going 3-1 with an ERA of 1.67 and a WHIP of 1.237. Unfortunately he walked more guys (16) than he struck out (12). For his career he was 210-158, winning 20 games twice and having three years with a losing record (one of which was 3-5). His career WHIP was 1.350 and his ERA+ is 109. Ted Lyons was a lot like Haines. He just sort of fell of the radar after making the Hall of Fame. Unlike Haines, he never played for a pennant winner, spending his entire 1923-1942 career with the Chicago White Sox (He also pitched a handful of games with the ChiSox in 1945). Today he’s primarily famous, if he’s known at all, for pitching an inordinate number of games on Sunday, particularly late in his career. He also managed the White Sox for a couple of years after he retired. During his tenure with Chicago, the Sox were generally terrible. They finished as high as third twice and Lyons was the ace for most of the period. He ended his career 260-230 with a 3.67 ERA, more walks than strikeouts, more hits than innings pitched, and an ERA+ of 118. He led the American League in wins, hits, complete games, and innings pitched twice. He led the AL in losses, ERA, shutouts, and hit batsmen all one time. He still leads the ChiSox in a lot of categories. He made the Hall of Fame in 1955. 1. They both pitched a long time ago. That was pretty obvious, but some people who pitched a long time ago (Cy Young, Walter Johnson, Christy Mathewson) are still relatively well-known (and Young has the advantage of the award named for him). So it has to be something other than sheer age. 2. The success of their team isn’t it. Haines’ teams were wildly successful winning the World Series in 1926, 1931, and 1934, and participating in the Series in 1928 and 1930. Lyons on the other hand toiled for dreadful teams. 3. For all the hoopla surround the 1920s and 1930s, they really don’t take center stage in our recent works on baseball. There seems to be a resurgence of interest in the Deadball Era, which I assume has to do with the century mark. There have been good books recently about 1906, 1908, and 1912, but nothing particularly special on the 1920s and 1930s (the Gas House Gang book didn’t get much press). Even the Nineteenth Century is getting better press recently, particularly the great job on 1884. And of course, contemporary baseball commands a much greater following than does the 20’s and 30’s. Good books about 2001 and other seasons have done well, and pushed the 1920-1940 period off the shelves. 4. I think the obscurity also has to do with a combination of neither being a pitcher you can hang a stat on and the fact that neither was a big star in his day. Neither was a big winner who put up a lot of strikeouts or shutouts. 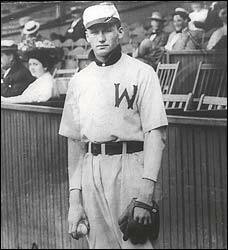 Neither was ever considered the premier pitcher in their league, except maybe for a very short period in Lyons’ case. There are no stories about Haines (except coming out in game 7 in 1926) and the stories about Lyons usually revolve around his pranks rather than his pitching. In other words, I think each was relatively overlooked in his own day, and remains so today. I may be wrong in my conclusions, but whether I am or not, I think it’s time to give each of these (and a ton of other people in the Hall of Fame) their due as ball players. Now that we’ve thoroughly hashed and rehashed Derek Jeter, maybe it’s time to turn and look at another man who played shortstop for New York. There have been a lot of them from Ernie Courtney who started the first game for the New York Highlanders in 1903 (they were in Baltimore in 1901 and 1902) through Tony Fernandez, the guy Jeter replaced. The man I want to look at is Mark Koenig, the shortstop on what is arguably the most famous of all teams, the 1927 Murder’s Row Yankees. Koenig was born in San Francisco on 19 July 1904 (almost exactly 107 years ago). He was a good ball player in high school, got a tryout with the local team, made the low minors in 1921 (he was 16 when the season started), got to St. Paul in 1924 and stayed there through 1925. His 1924 team won the American Association title and got a chance to play in the “Little World Series”, a post season playoff between the AA champ and the International League champion (those were the top minor leagues of the era). St. Paul won in ten games (5-4 with a tie). 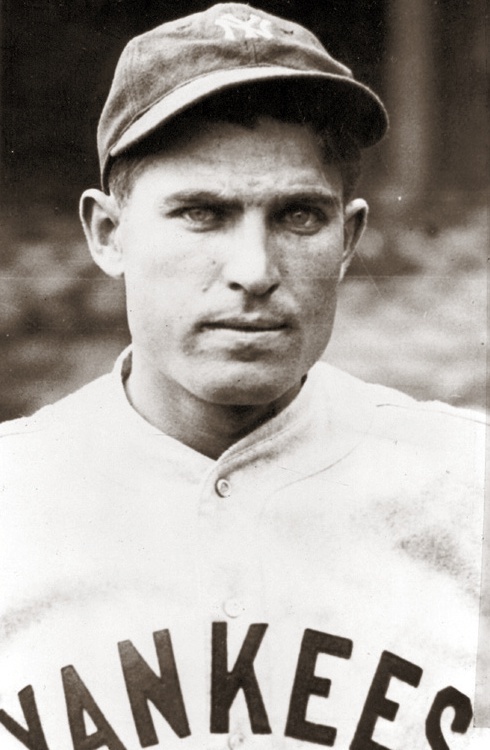 Koenig played well enough that the Yankees bought him and brought him to the Major Leagues in 1926. He was a disaster. He led the American League in errors with 52 (and four more in the World Series). He hit OK at .271 with no power and more walks than strikeouts. In the Series he hit only .125 with one double and his fourth error led to the Cardinals’ World Series clinching run in game seven. So far, he wasn’t much. In 1927, the Yankees produced what many people conclude is the greatest of all teams. Koenig hit second and stayed at shortstop. His error total dropped to 47, still first in the American League, but he was also third in assists. He hit .285, still had no power, didn’t walk much (and struck out less), and had 15 sacrifices (a factor for the two hitter). In the World Series he hit a team leading .500 with two doubles and scored five runs. In 1928 his errors increased to 49, but he dropped to second in the league (Red Kress of the Browns had 55). His average topped out at .319, with a .415 slugging percentage, an OBP of .360 (all career highs at the time). With the Yanks in the Series for the third straight year, Koenig hit .158. and scored one run in the four game sweep of the Cardinals. During his tenure, the Yankees adopted numbers for the players. They did it by simply giving the first hitter number one, the second number two, the third number three, and so on. That’s why Ruth was number three. So Koenig was the original number two for the Yanks (I wonder if Derek Jeter knows that). In 1929, he became the backup infielder, playing 116 games and hitting .292. Leo Durocher was the new shortstop, hit terribly, but fielded much better than Koenig. After 21 games in 1930, he was sent to Detroit where he teamed with Charlie Gehringer at second base. Koenig remained there through 1931 and ended up sent to the Pacific Coast League in 1932. Late in the season he was called up by the Cubs and hit .353 with three home runs, and 11 RBIs in 102 at bats. He was considered by many to be the spark that helped the Cubs to the National League title and a World Series matchup against his old team, the Yankees. The Series was controversial for two reasons. First, the Cubs granted Koenig only a half-share of the World Series payout, a not unreasonable act considering he’d only played in 33 games. This got the attention of Babe Ruth, who liked Koenig. Ruth began riding the Cubs for the entire Series for being cheap, the Cubs returned the favor by referencing Ruth’s ancestry (among other things). All that climaxed in the Series’ second great controversy, Ruth’s “called shot,” which I’m not about to weigh in on. Koenig stayed with Chicago in 1933, didn’t do much, was traded to Cincinnati in 1934, had a decent year and was involved in one last controversy. The Reds were pioneering using airplanes to travel to away games. Koenig was one of two players (Jim Bottomley was the other) who refused to fly. It got him into some trouble with the team’s front office, but they arranged to send him by train to away games. He moved back to New York, this time with the Giants for the final two years of his career (1935-36). He got into one last World Series in 1936 (again against his old Yankees team), went one for three (a single) in a losing effort. He was through as a Major Leaguer after the Series. He played one final season in San Francisco and retired at age 33. He spent his last years running service stations and working in a brewery in the San Francisco area. He retired to Sacramento and died in April 1993, the last of the 1927 Yankees. I remember they made a big deal about it in the papers in ’93. For his career, Koenig hit .279, slugged .367, and had an OBP of .316 for an OPS of .683 (OPS+ of 80). He had 1190 hits for 1567 total bases, 195 doubles, 49 triples, and 28 home runs. He also drove in 443 runs, and stole 31 bases. In fielding he led the AL in range factor in 1927, but offset that by making a ton of errors (even for his own day he was a terrible fielding shortstop). He’s remembered now only for being part of the 1927 Yankees, and I guess that’s fair. He wasn’t a star, he wasn’t a great player, but he did contribute to a great team. Ultimately, that’s an acceptable legacy for a ball player. In my last post I answered Bill Miller’s question concerning my evaluation of Derek Jeter as an all-time Yank. Bill actually asked two questions. The second asked my opinion as to Jeter’s position in the shortstop pantheon. So, as I said earlier, I’m not immune from putting my foot solidly in my mouth, so here’s a reply to that query. First the evaluations of shortstops are more difficult than a lot of positions. By general consensus Ted Williams, Stan Musial, Rickey Henderson, and Barry Bonds (done in the order they arrived in the big leagues) are the top four left fielders. There record as left “fielders”, as opposed to hitters is a mixed bag. Let me ask this, do you seriously care? Probably not. All are in the lineup to hit and it they can catch and throw then you have gravy. But it doesn’t work that way with a shortstop. You can’t just concentrate on his hitting. Fielding matters and fielding stats are most nebulous and imprecise of baseball stats. So you can’t just look at Jeter and say, “Well, sure, he’s better than Ozzie Smith because Smith didn’t hit nearly as well” (Using Smith purely as an example). That may be true, but Smith was twice the fielder that Jeter is (and that’s true of Smith versus almost anyone at short) and so that must be taken into serious consideration. If you decide that Williams and Bonds are a dead tie as hitters, you can use fielding as a way of picking one over the other, but with shortstops you have to consider this stat from the start. So looking at shortstops requires going into the fielding stats minefield. Secondly, an inordinate number of truly fine shortstops have spent a lot (and I mean a LOT) of time at other positions. 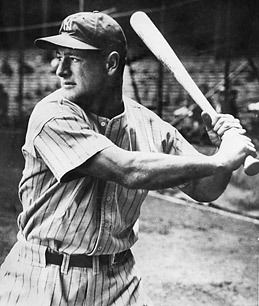 Honus Wagner was up for several years before settling at short, Robin Yount and Ernie Banks were both hurt and transfered to other positions (Yount to the outfield and Banks to first base) for significant parts of their career. In fact Banks ended up with more games at first than short, and Yount ended up with more total games in the outfield (but not at any single position in the outfield) than at short. And to give you a contemporary player, Alex Rodriguez has now spent more time at thrid than at short. All this makes it difficult to view a player as a shortstop rather than as an overall players (although doing so year by year instead of via career numbers makes it easier). Besides what do you call Yount, a shortstop of an outfielder? To solve that I went to the Hall of Fame site and looked how they defined a player. They say Yount and Banks are both shortstops (and Willie Stargell a left fielder as opposed to a first baseman–just to give you some idea of what they do). So I decided to add both to my list. I left ARod off (which I know isn’t great for consistency) because he’s still playing and it is possible he will shift back to short and solve the question or will end up spending twice as many games at third and solve the problem that way. As I don’t know what will happen there (“It is always easier to prophesy after the event.”–Winston Churchill) I left him off. So here’s my thought on the matter. I’ll list my one and two players, then the next three in alphabetical order. I’m certain who I think is first and who is second. Three through five tend to shift around depending on the day, the stats I’m looking at, the latest book I’ve read (the phases of the moon), but I’m reasonably confident which three go there. 1. Honus Wagner. There are a lot of really good shortstops, but Wagner is still head and shoulders above the rest. Personally, I think the drop from number one to number two is greater at shortstop than at any other position (no offense to number two, below). 2. Cal Ripken. He set the standard for a new kind of shortstop. He was mobile and he had power. He didn’t have the flash of Smith, but he was very adept at playing the hitter in such a way that he very seldom had to make a spectacular play. 3-5. Ernie Banks, Arky Vaughan, Robin Yount. Banks was the prototype for Ripken. It just didn’t take. All three of these are much alike. They are good enough shortstops (I’d rate Yount as the best) with a glove, but all hit very well; Banks for good power, Yount for occasional power. Both Yount and Banks win double MVPs and Vaughan could well have won one. So where is Jeter? He’s in the next bunch. There are an entire pack of really good quality shortstops that can be rated 6-10. There’s Ozzie Smith, the underrated Alan Trammel, Barry Larkin, Joe Cronin, both Lu Ap’s (Luis Aparicio, Luke Appling), Reese, Rizzuto, Omar Vizquel, and old-timer George Davis who could take the next five slots (and I’m sure I left off at least one deserving candidate). Jeter is one of those that fit right in with this group. Right now I’d certainly put him in the mix, probably very high in that mix. I’m reasonably sure he’s going to move up my food chain. I expect him to end up a top five, possibly as high as third or fourth. But I’m going to wait until the career ends to drop him into a definite hole. Having said that, he ought to get at least an extra point or two for standing along the first base line, grabbing a badly thrown ball, and flipping to Posada to nail Jeremy Giambi at the plate during the playoffs. Arguably the greatest play I ever saw. For all the overhyping of Derek Jeter (and I’ve been critical of it) he is the closest we’ve had to a baseball icon since the steroid scandal broke. Baseball could surely use one and Jeter has done a good job of filling that role. In a comment on the post below, Bill Miller asked me who were my choices for the 10 greatest Yankees. Well, never being one to shy away from making a fool of myself, I’m going to answer that. Here’s my list of the ten greatest Yankees, 1-5 in order, 6-9 listed alphabetically, and then number 10. 1. Babe Ruth–do I have to really go into any detail as to why? 2. Lou Gehrig–Is arguably the second greatest player in MLB history (I think that’s too high, but understand people who want to make that argument), the greatest first baseman ever, and the classiest player on any team anytime. 3. Mickey Mantle–It’s a tough call over DiMaggio, but I think I want Mantle’s combination of speed, power, and hitting. Sure, he hung on too long and lost out on a .300 batting average. I think if he’d ended up over .300 there might not be a question of who is the greatest Yankees center fielder. 4. 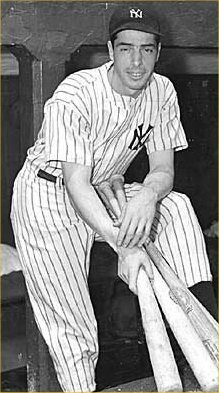 Joe DiMaggio–Like Gehrig, a classy player. In many ways the opposite of Mantle. Where Mantle was raw and powerful, DiMaggio was elegant and effortless. Still his numbers overall aren’t as good, so I go with the Mick. 5. 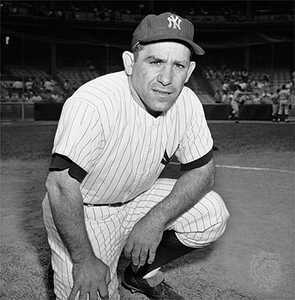 Yogi Berra–OK, he’s become a national comedian with his use of the English language, but I saw him play and God could he hit. He looked funny doing it, but he could do it so well. A lot of people forget he was a very good catcher too. 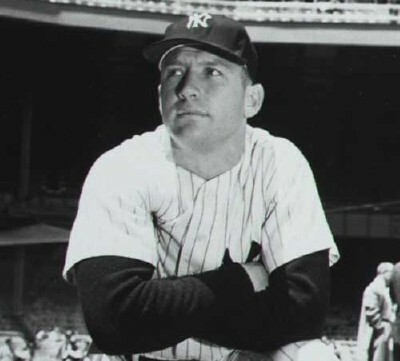 The Yanks used to find all sorts of journeyman pitchers like Johnny Kucks, Don Larsen, and company and they ended up doing superbly, at least for short periods, with New York. I’ve always thought Yogi had a lot to do with that. 6-9. In alphabetical order, Whitey Ford, Derek Jeter, Mariano Rivera, Red Ruffing. These guys I have a personal order for, but I have to admit it varies sometimes and I could be talked into turning the order around. I think they are all close and it’s hard to compare Jeter to the pitchers. It’s also hard to compare starting pitchers with relievers. As a rule I prefer starters over relievers because I’d rather have a guy who is good and can give my team 200-250 mostly quality innings over a guy who’s going to give me 70-100 mostly quality innings, even if most of those 70-100 are the ninth inning. After all, you gotta get through the first 24 outs before you can worry about the last three. I know the above paragraph sounds pretty wishy-washy, but every time I think I have a list of greats down the way I want them, someone comes up with a new stat or I read something that puts a different nuance onto a player’s career. Then the list goes out the window and I start over. So I’m comfortable knowing 6-9 are the right guys. I’m much less comfortable with the exact order. 10. There are a lot of guys who could go here, Don Mattingly, Bill Dickey, Dave Winfield (and others). My personal choice is Reggie Jackson, but I recognize the difficulty in chosing a guy who was only there five years. But what a heck of a five years they were. Although winning is very much a team stat, I think it matters to a degree in judging a player. That degree has to do with how much impact that player has on the team. Using the four players listed above, Mattingly and Winfield simply never won as Yankees, and although Dickey won in the 1930’s and early 1940s I think that has a lot more to do with having Ruth, Gehrig, and DiMaggio as teammates. On the other hand, the late 1970s Yankees were Jackson’s team. The line used about him was that the was “the straw that stirred the drink.” He was indeed that. So at this point I pick Jackson, knowing that someone reading this is quite capable of convincing me otherwise. Anyway, there’s my list. First I know it’s pretty standard (except maybe for Jackson). No great surprises, but that’s probably to be expected. I know many will disagree, and that’s OK too. Have at it, team. You are currently browsing the Verdun2's Blog blog archives for July, 2011.